Do you like basketball cards? Do you like a lot of foil? If you answered 'yes' to both of those questions then the new 12/13 Panini Brilliance might just be the product for you! This set is literally covered with foil. Base cards, inserts, and memorabilia cards all sport a reflective shine. Will this colorful new set appeal to you? Let's take a look at what comes out of a typical box of Brilliance so you get an idea of what this new product is all about. 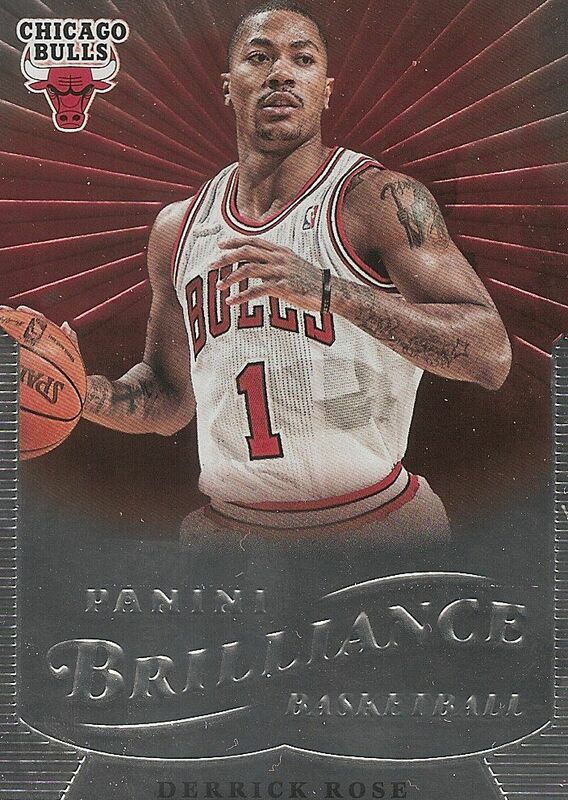 The Panini Brilliance base cards definitely stand out from the standard base cards in most products. These cards deliver a highly reflective and colorful look to collectors. For those who like a lot of flash, these cards are great. Not only do these cards have shine, each one has a large Brilliance logo embossed on the front to further catch collectors' eyes. My favorite part of the card has to be the team color inspired background. It's done in a way that has deep, almost wet looking color. It's a very nebulous effect that I really enjoy looking at. Though there is a lot that I enjoy here, I can see how those who prefer simpler designs may not like these as much. The back of the base card mirrors the front design without all the flashy foil. It's interesting to see how much the foil effect does enhance the card as compared to the non-foiled picture elements on the back. As I've stated with Panini in other recent reviews, I feel that more could be done with their card backs. These particular card backs are not bad, but they don't differentiate themselves in any meaningful way. The back definitely could use a make-over to better match the intense front design. Also, I don't know about you, but I'd rather have a player photo on the back rather than the team logo graphic. I just can't help but feel that these backs could have been so much better! Interestingly, this set is actually a bit of a throwback in some ways. Most modern day sets include veteran subset cards and rookie cards with different designs than the standard current player base. That's not the case here. With Brilliance, all the players included share the same design scheme. If you didn't actually read through your base cards, you would miss out on key rookie cards and past players. Boxes of Brilliance contain 20 packs of cards - that's quite a bit! And from what I've seen opened, collectors can expect to find three hits per box along with parallel cards and inserts. I'll go ahead and begin with the Starburst parallel card. Can you tell the difference between this and the standard base? Of course you can! With the scan, it's clear to see the extra 'burst' embossing pattern in the background of the card. When quickly looking through packs though, these cards can be tough to spot. I don't even think I realized I had pulled these during my break of the product. Going back through my box break I found five of them - Derrick Rose, Greg Monroe, Marco Belinelli, Tyler Hansbrough, and George Hill. The extra embossing looks good, but without numbering these particular parallels don't excite me very much. Artist Proof parallels on the other hand, are exciting and rare pulls. They are numbered to only 10 each. I'd say the gap is pretty wide between the two different base set parallels in Brilliance. The Team Tomorrow insert also features the burst embossing as the Starburst Parallel cards. 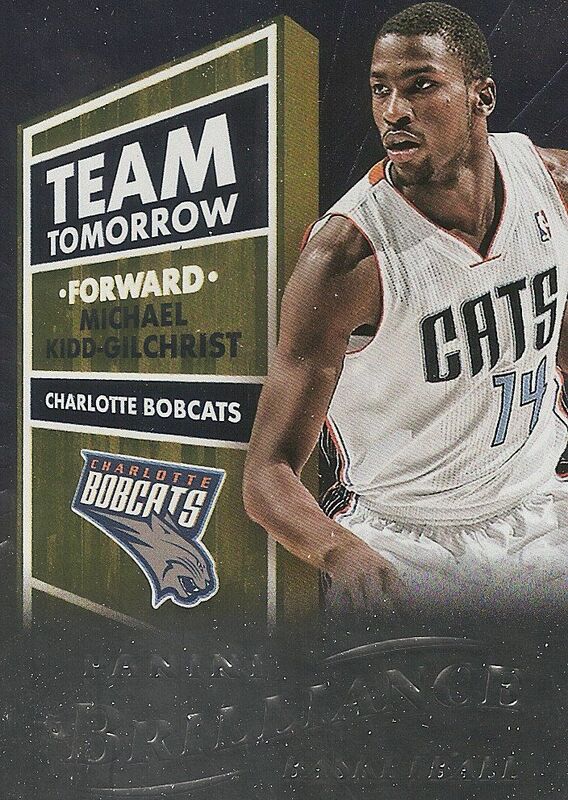 This insert set is focused on young NBA talent like Michael Kidd-Gilchrist (shown above). The block of floor design to the left of the player photo is pretty unique; it contains all the relevant information needed on the card. For basketball collectors looking to add more cards of specific young talent, these cards are good to pick up and collect. Because they are not very limited and do not have an autograph or memorabilia piece, they will always be easy to obtain and won't break the bank when buying them up on the secondary market. 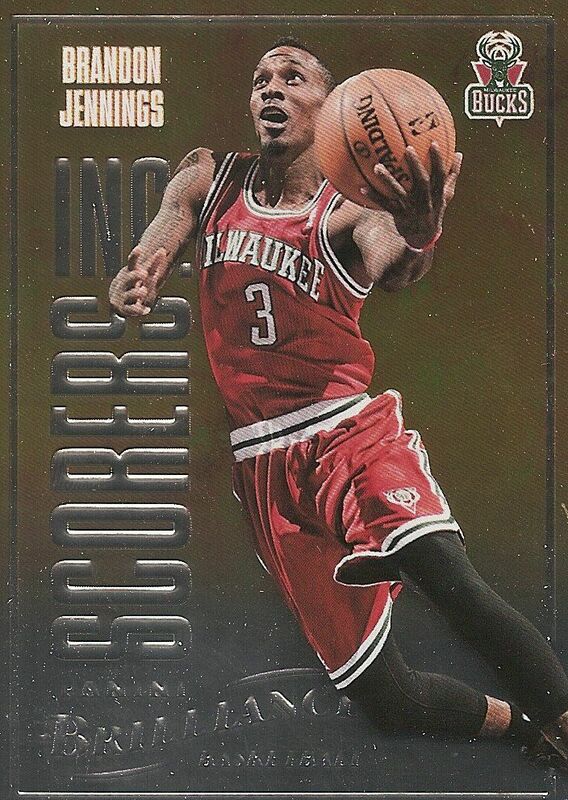 The Accolades insert cards highlight the awards that players have earned over their career. I guess if a player hasn't won any awards he wouldn't be in this set, sadly. Kevin Garnett doesn't have that problem though. 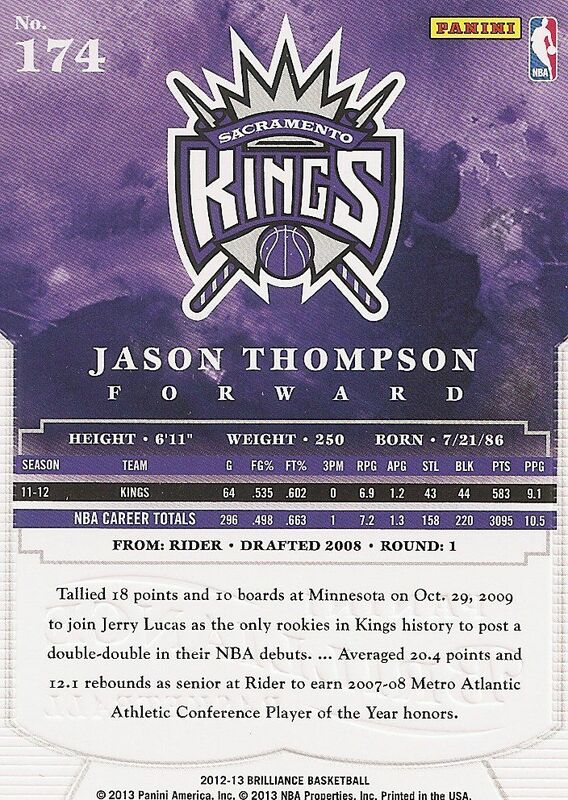 The back of his Accolades card lists many awards from his long playing career - All-Star Game MVP, NBA MVP, Defensive player of the year, and even his championship ring with Boston. Though these cards celebrate special honors, the actual cards themselves aren't very special. These inserts are much too similar to the standard base card design - they have the same Brilliance logo and a similar (albeit slightly different) background. Because of that, these Accolades cards don't deliver on the same level as the players they feature. Magic Numbers cards change things up a bit by going with a horizontal orientation rather than vertical. Because of this, and the use of a different color palette, these cards do stand out from many of the other insert cards found in Brillance. These Magic Numbers insert cards have a lot going for them from a design aspect. 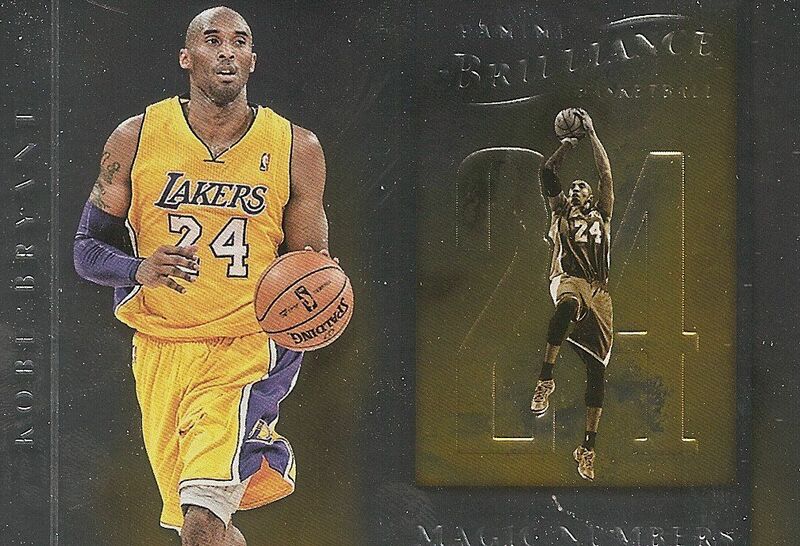 These cards show two different photos of the pictured NBA player and has a large amount of embossing. The different frames that separate the card help to organize everything on the front so that it's pleasing to the eye. It's definitely one of the more solid insert card efforts in Brilliance. Going back to the vertical format are the Scorers Inc. insert cards. I like that these cards have very different elements to them compared to the base set. The flame in the background obviously signifies that the featured player is on-fire in terms of scoring. The fire theme continues on the back of the card with a ring of fire border. Spellbound cards were an interesting find in Brilliance. These cards are similar to manufactured letter patch cards... just without the actual cloth patch. As you can see from the Jeremy Lin above, the letter 'N' is prominently seen in the background. Collectors can choose to spell out a player's last name with these cards. It's a fun idea - something perhaps younger collectors who can't afford the manufactured patch cards could latch on to. Player collectors will also find fun here as they gather all the letters to spell out their PC player's last name. 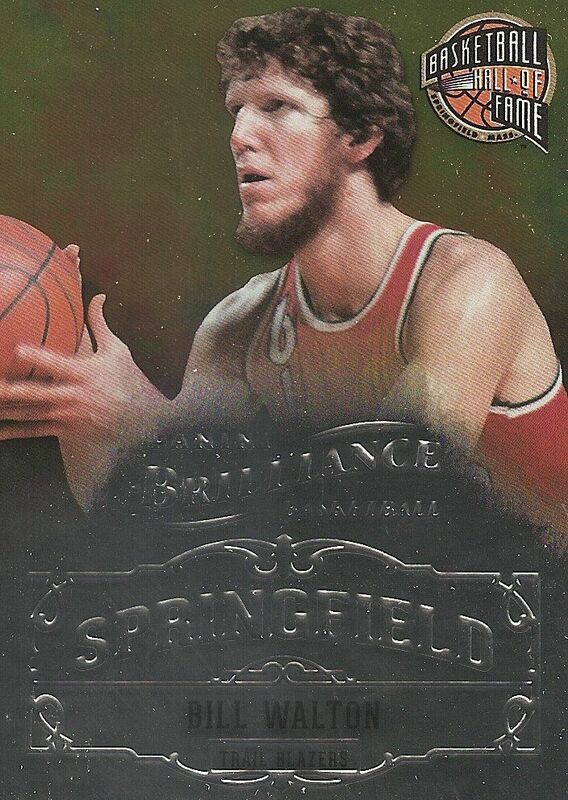 My favorite non-memorabilia insert card in Brilliance has to be the Springfield Hall of Fame cards. These cards showcase players who have mande it into Basketball Hall of Fame. The design really works. From the half silver to half gold color scheme, these cards are classy and represent HOF players well. I particularly like the Hall of Fame logo featured on the upper right-hand corner of the card - it's a nice touch. 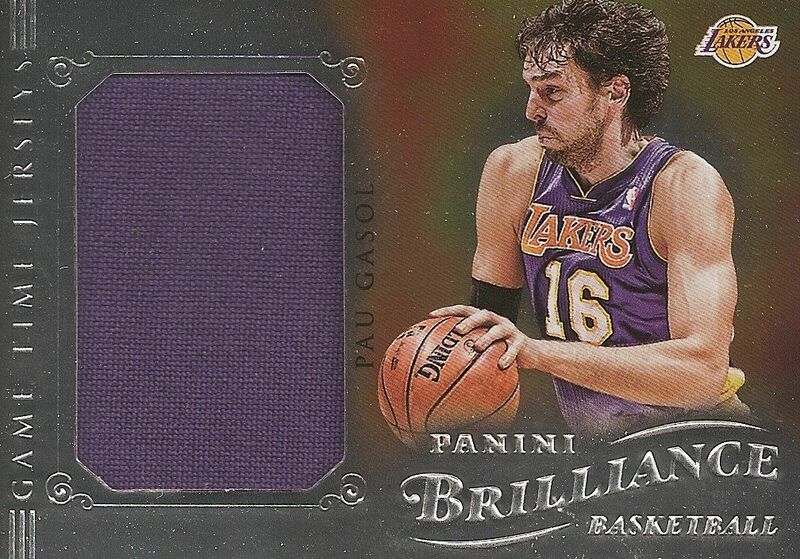 The memorabilia card I pulled form this box was a Pau Gasol Game Time Jersey card. The card is unnumbered, but does contain a pretty good chunk of jersey. It's an impressive size compared to many other jersey swatches in other products. The entire card is covered with foil just like the other inserts and base cards found in Brilliance. It is very elegant and exceeds my expectation for a simple jersey card. It was probably my favorite card out of this break. As standard with Panini, prime versions with more premium jersey pieces are available to find as well. Another memorabilia insert found in Brilliance are the City to City cards. They showcase a player's move from one team to another in the form of two different jersey swatches. Those also come in standard jersey and prime variations. In terms of autographed content, I pulled two of the same type of card - Brilliant Beginnings. I'm not sure what's up with these cards though... they are absolutely not 'brilliant'. I'm not saying they are terrible cards, but they lack the foil shine that is a hallmark of the set. These cards are regular glossy cards with a sticker autograph. The background behind the player looks like what they used for the back of the base card. It was surprising to see these come out of the box sans foil. Unfortunately, I feel that these autos detract from the overall cohesiveness of the set. The other autographed set in the product is called Marks of Brilliance. Though I didn't pull one in my break, I know these cards also feature the flat glossy look rather than have foil. Mind boggling, I know. 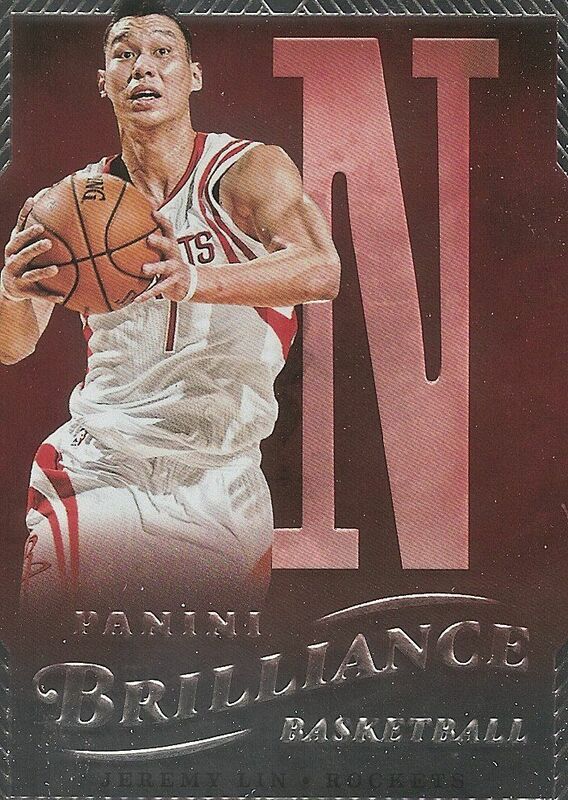 12/13 Panini Brilliance is, for the most part, a sweet looking set of basketball cards. The base cards are artistically done and visually stunning. Though many of the inserts remind me a bit too much of the base, they are on the whole appealing cards to collect. The biggest issue I have after opening this box of Brilliance is with the 'hit' values. Each box only contains three hits; and I'm pretty sure the hits that were in my box wouldn't satisfy a collector looking for good value from them. To me, it seems as if Panini put the value into the making of the base cards and skimped a bit with the hits. The problem with that is collectors nowadays have little to no appreciation for base cards. So as nice as they are, most base cards are just tossed into a box and left there (if they're lucky). Sad, but true. I really want to like Brilliance more than I do, but I don't. The imbalance in value I just mentioned is something I can't overcome. I would recommend this product for collectors who simply love the look and want to collect a relatively large set. For collectors seeking out sweet hits... look elsewhere. 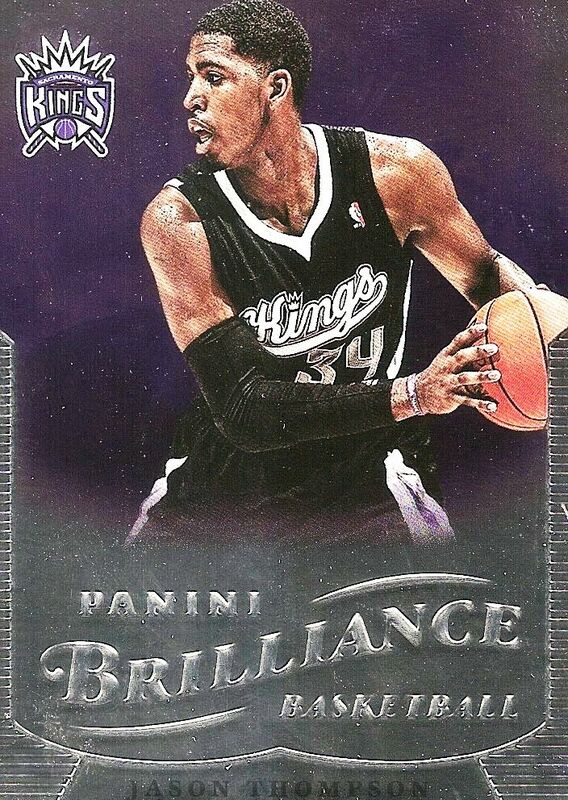 Let me know in the comments below what you thought of the new Panini Brilliance line! Should they keep it up as a product for next year? What should they do to improve it? Comment! I'd have to agree with you Luke, ver, very underwhelming product. Panini has always been the standard of excellence and this product seems out of the norm for them. It seems almost a bit rushed and unfinished to me. I don't know what it is about this set. I like the base card design it is different but all the insert cards including Jerseys look the same. The colours are different but that is about it. I find it really hard to read what type of card it is. I feel this should be a lower end set because of that looks cheaply done. I would have to give this a 4/10 for the simple fact everything looks the same. Panini tries and tries but they will never be best company! Brilliance i think is a good product for newbies into hobby! 75$ for box is normal price! unfortunately you cant use these base cards for IP autographing! I like those big jerseys they really looks cool and you own a big piece of jersey! Autographs as always are all rookies but I think for this price category this product is really good! I think this product has too much foil for my liking. I feel this set lacks a focus point when the cards were being designed. The base cards and insert cards being the same makes this product a red flag for me not too buy. Panini seemed like they didn't care for this product at all. The design is ok, not a fan of all of the foil. To start, I like the shiny aspect to the cards. Hockey is kind of starting to pick up on this but Basketball seems to just own it. I have said it before and I will say it again, I know very little about Basketball so I have a rather unbiased opinion, or at least I like to think. Anyhow, the foil does make the inserts look less "special" if you will since the base cards are already covered with them. You made a similar accusation on this topic and I must agree with you. I think you are correct. This product seems to be insert-based just like Fleer Retro Hockey. I'm not sure how I feel about this. As long as there are hits too, it doesn't have too much of an effect but if you think about it, it makes inserts less unique when it is loaded with them. Perhaps I am mistaken, but that is just me. Overall, I don't know what it is about this product but I am not the biggest fan. Sticker auto's, random decoys, shiny base, base packs, boring inserts, etc. Okay, maybe I do have this figured out. So yes, I am not you #1 fan of this product although I enjoyed the review as always. There are my basic feelings about this product. I hope they all mean well to you! Thanks a lot for everything! The product looks solid, I really like the jersey card. The autos look same old same old, but still looks to be a classy design. I really like this basketball product everything looks pretty great. Foil foil foil... And a big logo with the Product name. Well, not the best idea from Panini in my opinion. The fact that half of almost every card is covered with the "Brilliance"-logo isn't somehting I like..at all! And with all the foil every single card seems to be of the same set. Not even the inserts stand out that much. 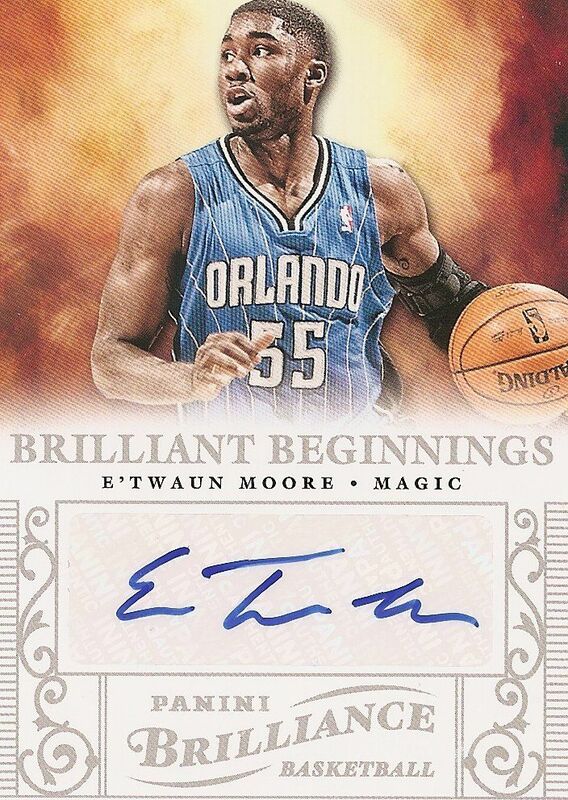 Therefore the "Brilliant beginnings" is an auto set that I really much appreciate, with it's breaking design. 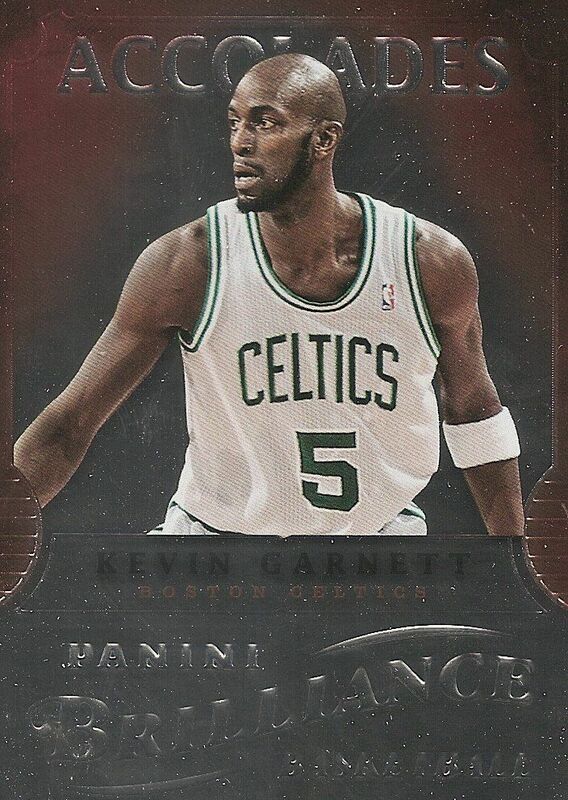 Also the "Game Time"-jersey set looks really nice (I have Always liked jersey cards with foil), I'm glad Panini didn't foiled the jersey piece and did put the "Brilliance"-logo over it too..